If you are looking for an amazing adventure in a book, action packed scenes, and thrilling chapters; then this is NOT for you! However, if you’d like to simply have fun, be entertained, and admit to your human weakness, then The Panti Chronicles ‘Another Kikiam Experience’ is a good read. I’ve only chanced upon it one boring mall-ing day. The book was prominently displayed among other books on the glass windows of a National Book Store branch nearby. I was curious because of the book’s title, teaser, and cover poster. It was priced at less than a hundred pesos so I purchased the tiny little pink book and gave it a try. I was instantly hooked during the first few pages alone. ‘Another Kikiam Experience’ is a sequel to the best seller The Panti Chronicles. 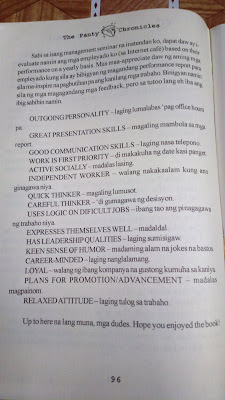 It was written in English and Tagalog or Taglish in a language both conyo (rich kids) and the masses can understand. 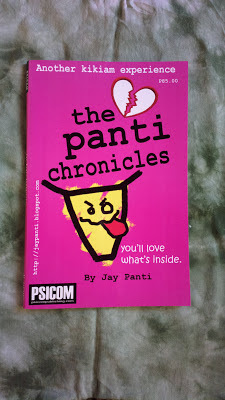 The author, Jay Panti (yes, that’s his real name and last name according to the book), is a rich guy with poor experiences in terms of love and relationships. But he was rich in escapades and I’m really tempted to spell out escapade with an ‘s’ at the beginning and the letter ‘s’ after the ‘e’ replaced by ‘x.’ Then again, for the sake of keeping this post wholesome, I’ll just say that the author is like any other naughty and mischievous sort of single player not-so-young anymore guy. I have no idea if he is still single to this day. 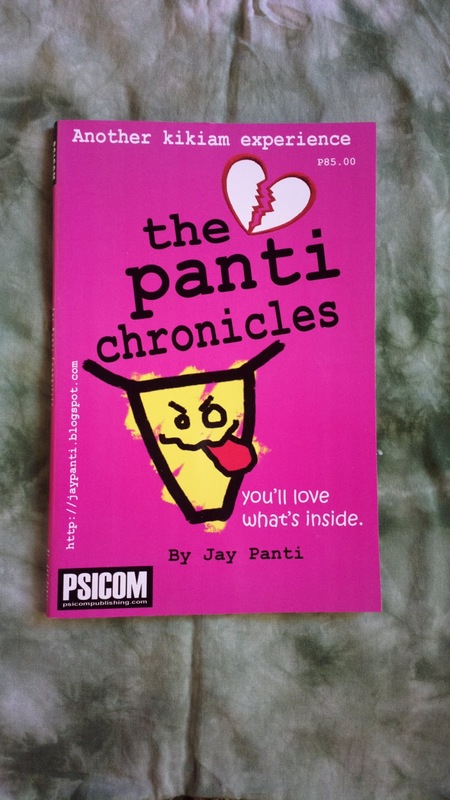 But as for The Panti Chronicles book series, they had just released the tenth edition last September 2012. The blog JayPanti.blogspot.com is where everything started. What began as a journal full of jokes as well as a confessional diary about his dilemma on love and relationships (plus the stuffs in between, you know what I mean =) became a book and is now a series. But it looks like the blog is no longer updated. The author has now migrated into social media completely. You may follow him in http://www.facebook.com/jaypanti (yes, there is a follow option in Facebook now =) or like http://www.facebook.com/jaypantibooks. The FB page is constantly updated with jokes where you DON’T learn a lesson from nor get inspired with but you can have lots of fun about. Going back to ‘Another Kikiam Experience,’ it is a page turner even if the pages are limited. Although I’m really slow when reading because I’m busy freelancing, I was finally able to finish reading the book recently. I loved it and I didn’t find it offensive. I simply enjoyed reading about the author’s adventures and misadventures about love, romance, relationships, and you know the rest. ;) I enjoyed the jokes too even if the book I’ve read was printed all the way back in 2008. The fun and excitement never faded. I do hope to read the rest of the other books of the series too. A sample of jokes from the very last page of the page has a screenshot on the right.